This ACE Store is located in San Fernando Plaza at the intersection of Truman St. and S Brand Blvd. There should be plenty of free parking at this walk-in location. The LA Metro’s Bus lines #94, #224, and #234 stop at Truman/Brand directly in front of this ACE location. Check their website for schedules and routes. Neighboring this ACE location are Los Tres Hermanos, Wing Stop, Chipotle, Denny’s and T-Mobile. 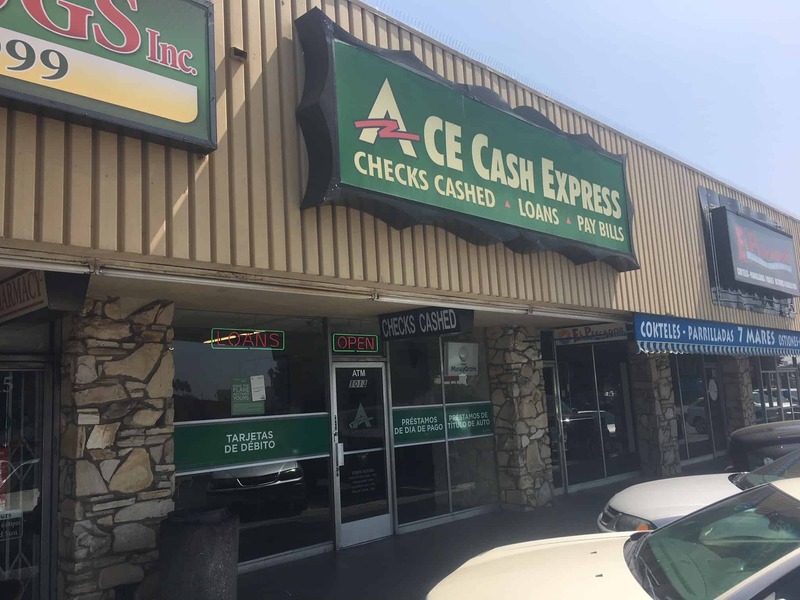 If San Fernando residents are looking for a convenient way to get funding quickly, consider applying for an auto title loan powered by LoanMart, which can be found at the ACE Cash Express in San Fernando. San Fernando residents that qualify for an auto title loan powered by LoanMart can borrow as much as $30,0001. The amount is based on multiple factors, including a vehicle’s equity and a person’s ability to make regular monthly payments on time. They may be able to collect your funds as fast as a single business day3. And, yes, it’s completely free to apply! Pay as early as you want without penalties5. Get funded as fast as the next business day if you qualify3. Competitive rates throughout the industry. All credit types are encouraged to apply. Agents are available to help when it’s convenient for a San Fernando resident that is looking to qualify for an auto title loan powered by LoanMart. They’ll just need a valid state-issued photo ID or driver’s license, as well as a free-and-clear vehicle title. Although in some cases, additional documents to verify residence and income may also be necessary. That’s about as complicated as it will ever get! Apply online, by phone, or stop by an ACE Cash Express location. Submit the necessary documents to the agent. Sign the loan agreement and collect the money! Apply for free now by calling the toll-free number. The funds needed may be just around the corner. Once approved, a talented agent will talk about how to retrieve one’s auto title loan funding, powered by LoanMart!